Maharashtra is all set to use treated sewage water in thermal power plants. Can this move be scaled up? Maharashtra is planning to use treated sewage water for cooling steam in its coal-based thermal power stations. The idea will be implemented for the first time in the state in April at a 620 MW unit of the Koradi thermal power plant in Nagpur. It will then be extended to other plants. The 1,130 MW plant at Parli faced severe water shortage in December 2012, when the Khadka barrage went dry. In 2010, the 2,340 MW Chandrapur power plant was also partially shut down due to lack of water. The Koradi plant will use sewage water from Nagpur, which will be treated at a facility in Bhandewadi, 16 km from Koradi. The Maharashtra State Power Generation Company (Mahagenco) has built a 19 km-long pipeline to transport the treated sewage water from the facility to the power plant. The plant will pay the Nagpur Municipal Corporation (NMC) R15 crore per year for 110 million litres per day (MLD) of treated sewage water. This is nearly half the cost of freshwater from dams (R7 per cubic metre of water). However, power tariff may not change much because the major portion of it is decided by fuel cost, not the cost of water, points out Anant Deotare, chief engineer of the Koradi power plant. Use of treated sewage water in power plants was first proposed eight years ago by Ajit Pawar, the then state energy minister, and Nitin Gadkari, the current Union minister for road transport and highways. The proposal got the go-ahead in October 2015 by Chief Minister Devendra Fadnavis. Following the 2008 proposal, an agreement was made allowing Mahagenco to use treated sewage water from NMC. The agreement entails a contract which has to be renewed after one year. Maharashtra has the largest installed capacity to generate electricity in India, and thermal power plants use huge quantities of water. When Maharashtra faced a drought in 2013—said to be its worst in 40 years—water-intensive thermal plants were adding to the state’s woes. The NTPC Solapur power plant was drawing more water from Ujjani dam than the city, according to Fadnavis. 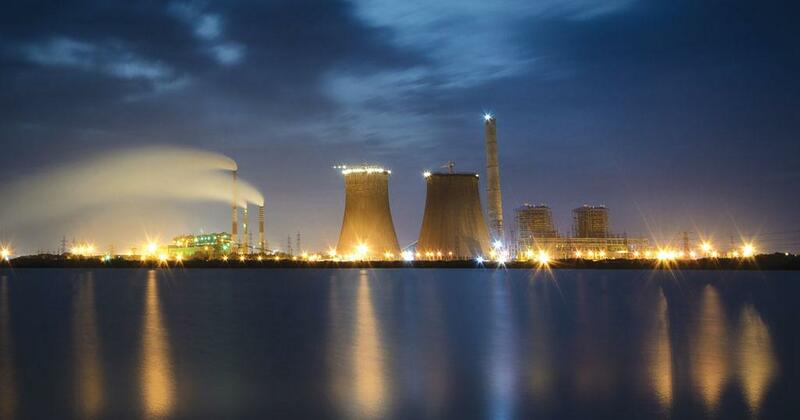 In fact, the volume of water used in coal-based thermal power plants (22 billion cubic metre in 2011-12) is over half of India’s domestic needs, according to a study by Delhi NGO Centre for Science and Environment (CSE). By 2050, water demand by the power sector in the country will increase by 30 times, estimates a 2012 standing subcommittee of the Union Ministry of Water Resources (MOWR). Use of sewage water in power plants can free up freshwater for drinking and agri-culture. Take the example of the Parli plant. For two months before it had to be shut down in February 2013, water was provided from the Mudgal barrage in Parbhani district. The diversion of five billion cubic metres of water from the barrage during that period could have saved the water needs of 600,000 people for 30 days, according to a 2013 Greenpeace report. In 2015, a committee of chief ministers constituted by the prime minister submit-ted a report to the Centre, recommending that thermal power plants use treated sewage water instead of clean raw water. And on January 20, 2016, the Union Cabi-net approved amendments to the Power Tariff Policy 2006 announced by the Minis-try of Power, requiring thermal power plants within 50 km of a sewage treatment plant (STP) to use treated sewage water. Such a move is not new. Industries, such as the Simbhaoli Sugar Mills in Uttar Pradesh, are already using treated sewage water to meet their cooling requirements. There are more such examples abroad (see ‘Power friendly’). Replicating such use across the country may not meet the total demand of the power sector but can lessen the water stress. As per, the Central Pollution Control Board (CPCB), 522 STPs are operational nationwide, which supply 6.89 billion cubic metres of treated water annu-ally. This is 30 per cent of the total water requirement of the power industry. More wastewater can be treated and made avail-able to the sector but this may warrant the establishment of new STPs, as well as conn-ecting pipelines, translating into additional cost for the municipal corporations. Use of wastewater has other benefits as well, such as reduced contamination of rivers and additional revenue for muni-cipalities. Some experts believe such use could also bring down power tariffs but A K Keshri, professor, Department of Civil Engineering, Indian Institute of Technology (IIT) Delhi, says it depends on whether the cost of treated wastewater is less than the cost of freshwater. He recommends a subsidy on the sale of treated wastewater to encourage its use by power plants. Sewage water has to be treated up to certain quality standards before it can be used in power plants. If not treated properly, it can damage equipments. Therefore, it is necessary to have the right guidelines and enure that the industry adheres to them. In Tokyo, for instance, guidelines laid down by the Ministry of Construction ensure that target values are achieved before the treated wastewater is used by the plant. The Yokosuka Power Company there does this by using high-velocity filters, which reduce the amount of suspended solids in treated water, and an ozonation treatment system performs sterilisation. In India, the guidelines on the quality of water that can be used in the power plant are laid by the Bureau of Indian Standards. “But these are only suggestive,” says D D Basu, former additional secretary of the CPCB. It is the engineer’s prerogative to adhere to it or not, and he/she cannot be prosecuted for not complying. A CPCB report shows 39 per cent of STPs have been observed to flout the guidelines on the quality of water to be discharged. But the biggest challenge is to lay down an implementation roadmap. To scale up the initiative the government needs to add-ress important questions. “For instance, we need to clarify who is responsible for developing necessary infrastructure? Who will monitor if power plants are complying in the first place? And how will compliance be monitored?” says Sweta Prabhakar, progra-mme manager, sustainable industry, CSE.